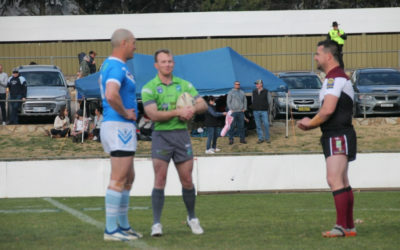 The Canberra & District Rugby League Referees Association provides referees for over 130 games every weekend in Canberra as well as Boorowa, Braidwood, Bungendore, Crookwell, Cooma, Goulburn, Harden, Queanbeyan and Yass. 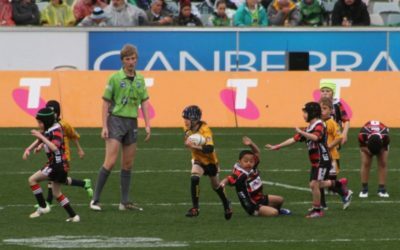 Refereeing is open to anyone over the age of 13 who just loves Rugby League. To find out about becoming a referee click here. A existing members are now asked to register for 2019. We like to thank our sponsors for their generous support. I’ve always loved footy and played for many years. But due to injuries, I couldn’t keep playing. Then I started refereeing. I get to stay involved in the game I love, give something back, and have a run each week. As a girl, I watched my dad refereeing and my brother play. I started at 14 to get some pocket money and keep fit. I have been refereeing for about 10 years and I now referee senior football and coach other young referees. It is fun and still keeps me fit. There are now lots of girls & women playing football. 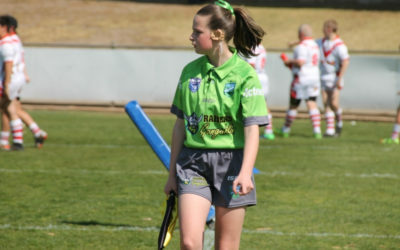 This year Belinda Sleeman became the first woman to referee an NRL game. We need more women involved. I play junior football every weekend, and referee as well. It’s helped my football, as I see another part of the game. The group is great, and it’s given me some extra money as well.